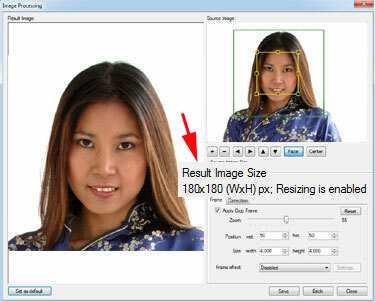 Problem: Generate auto-cropped ID photos 180 X 180 pixels and 240 dpi resolution. 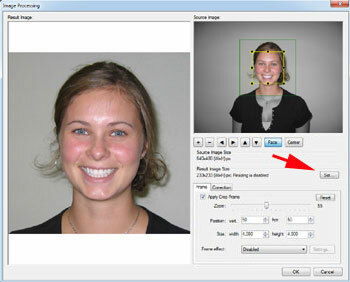 All our ID photo products including inPhoto ID PS for Canon Powershot cameras, inPhoto ID SLR for Canon SLR cameras, and inPhoto ID Webcam for web cameras can do this job easily. 1. Run inPhoto ID PS if you use Canon Powerashot camera, inPhoto ID SLR if you use Canon SLR camera, or inPhoto ID Webcam if you use web camera. Go to menu File - Oprtions. 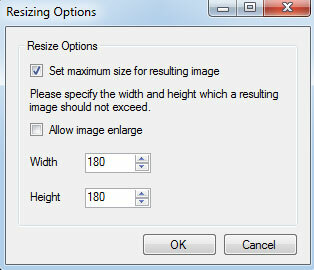 Select Save tab and set the required resulting photo resolution (240 dpi) in the corresponding field. 2. Click Processing settings button in the right part of the software window. 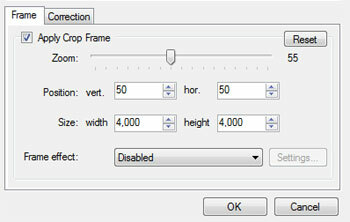 In the Image Processing window set the square cropping box using Size Width and Height controls. 3. 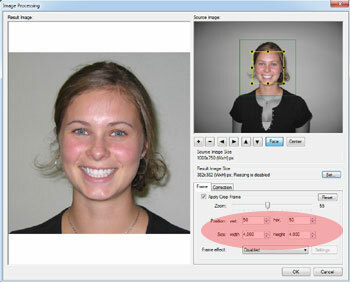 ID photo width must be equal to ID photo height (4 in our example). Click OK.
4.To set the required photo size in pixels click Set button. 5. Set the required size in the Width and Height boxes. 6. Now you can start capturing ID photos of required size and resolution. Click Capture to file button (or Capture to TWAIN if inPhoto software is started from within TWAIN compatible application) in the right part of the software window. The captured photo will be displayed in the Image Processing window. The ID photo will be cropped automatically. The cropped ID photo will have the required size in pixels. 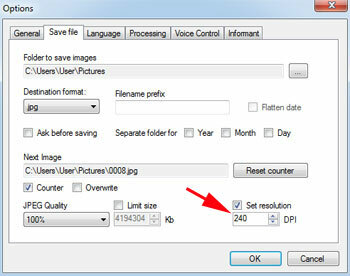 The ID photo resolution will be 240 dpi as it was set on the Save tab. Try and check!